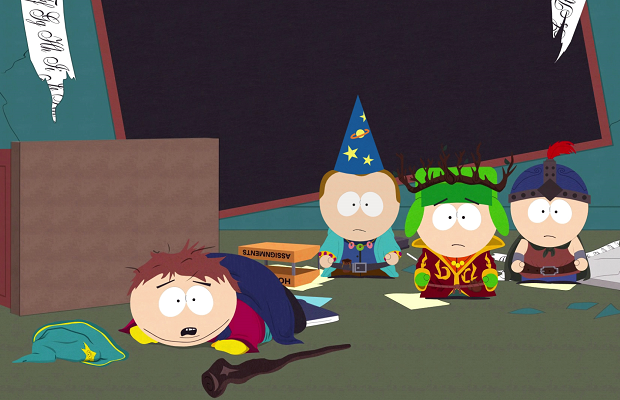 It pains me to say that South Park: The Stick of Truth has been delayed. Again. News of the delay came in a recent announcement on the Ubiblog, along with a very brief explanation. Ubisoft’s North American president Laurent Detoc explains that there’s quite a bit of work to be done. South Park creators Trey Parker and Matt Stone also chimed in, claiming they want the game to “feel like you’re actually in an episode of South Park,” and that this just isn’t a reality yet. Fortunately, Ubisoft also released a seven minute gameplay video alongside the announcement, which you can watch below. We can hopefully expect South Park: The Stick of Truth to hit the PC, PS3, and 360 next March.